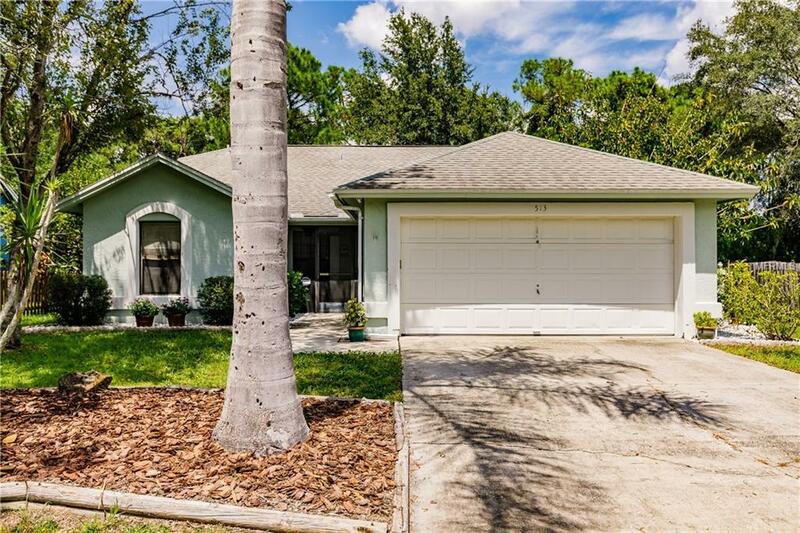 Charming home in beautiful Braden River Lakes. Super value in this 3 bedroom, 2 bath, 2 car garage home on a private fenced lot. Excellent schools, shopping and restaurants in this West of I75 location. The neighborhood has a resort style pool on the Braden River with tennis courts, volleyball courts, playground, and picnic areas on the water. Low HOA only 440 a year for so many amenities. Tree lined streets and so many water features with ponds and paths for walking and enjoying nature. This cutie has newer AC and is in move in condition. Great room plan with a spacious kitchen with eat in space and a dining room. Bedrooms are a split plan with 2 up front with a full bathroom and master is tucked away at the back of the home and has a master bath and walk in closet. 2 sets of sliding doors lead out onto the screened porch which is a great spot to relax. The back yard is fenced and ready for the pets and has a private treed view. Easy to show!